Dollywood revealed their BIG 2014 news today, with the announcements for the new Fire Chaser Express family launch coaster in 2014, and the new DreamMore Resort hotel for the property in 2015! Let's start out with the Fire Chaser Express introduction video, courtesy of our YouTube channel ThemeParkOverloadHD! Check out the official word from the park on this innovative new family coaster! invites families to ride together." Take a step forward into 2015, Dollywood plans to open the new DreamMore Resort Hotel onsite! 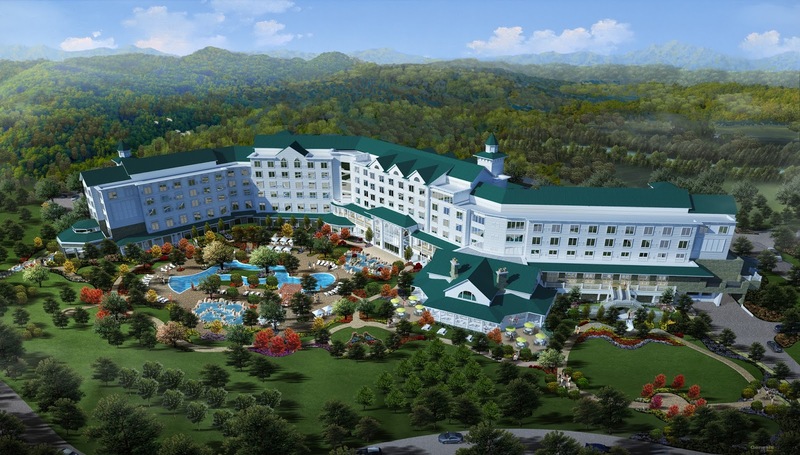 To mark the company’s 30th anniversary in 2015, the 300-room Dollywood’s DreamMore Resort will open adjacent to Parton’s award-winning Dollywood theme park and Dollywood’s Splash Country waterpark, both located in Tennessee’s famed Great Smoky Mountains. Dollywood’s DreamMore Resort includes more than 8,000 square feet of indoor meeting space complete with state-of-the-art technology. Outdoors, the property can accommodate groups as large as 500. A full-service restaurant, fashioned after an old farmhouse, provides indoor and outdoor dining opportunities, including a wrap-around veranda with views of the pool and surrounding mountains while an indoor pool, carefully situated amid all-glass windows, invites the outdoors inside. An intimate amphitheater nestled in the rolling countryside offers outdoor entertainment while an event lawn welcomes craft demonstrations and special entertainment. Fire pits, hammocks and story spots allow guests to take full advantage of the outdoors. The resort’s spa and salon will offer both a serene indoor and outdoor spa experience. Follow us on Facebook to stay Up-To-Date with the site! \www.Facebook.com/ThemeParkOverload My name's Nicholous, and Thanks for Reading!